We saw Salman Khan opening up like never before about his failures. India’s most bankable actor— Salman Khan speaks up about his take on failures. 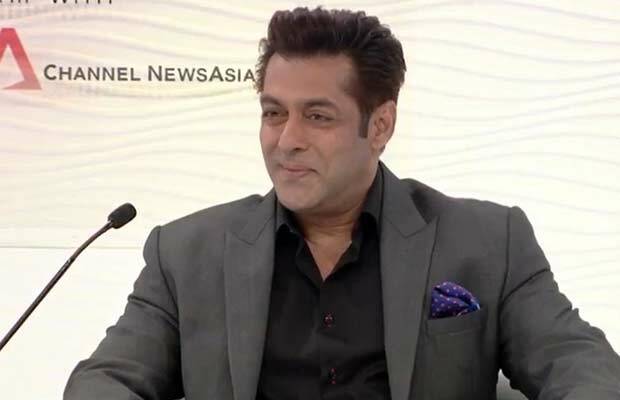 Salman Khan had an honest conversation with Shekhar Gupta, the chairman and editor-in-chief of the Print at Hindustan Times Leadership Summit in Delhi. The conversation between two ranged from the latest Padmavati controversy to casting couch. But what was most interesting was Salman’s take on failure. In the last question of the summit, Salman was asked: “What is it that keeps you going in your tough time and how do you know with failure?” Shekhar corrected and specified ‘professional’ failure instead of failure in ‘love’. Though Salman was quick to add, “The unlucky you are in love, lucky you are actually! However, his take on dealing with the rut of professional failure is gratefulness. What if all this fame was to be taken away? Previous articleKnow Your Weather By The Jugaadus Of Fukrey Returns! Next articleSonam Kapoor Wishes Fawad Khan A Happy Birthday, People Troll Her Badly!